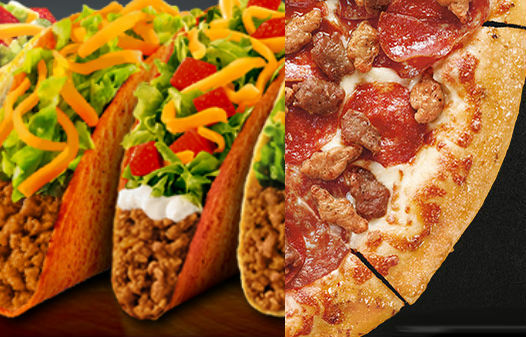 Taco Bell and Pizza Hut announced that they are eliminating the artificial flavors and colors, which makes them just the most recent big company in the fast food industry to put a distance between themselves and ingredients consumers might not find too appetizing. Instead of Taco Bell using ingredients that give a product “black pepper flavoring,” it will be using real black pepper for its beef, says the chains food officer. The chain that features Mexican-style food also announced that Yellow # 6 an artificial dye will no longer be used in nacho cheese, Blue # 1 will no longer be used in its avocado and ranch dressing and a bright pigment known as carmine will be taken out of its tortilla strips. Some of new recipes the chain is using to replace the others are being run through tests in certain selected markets and are scheduled to be in restaurants nationwide before the end of 2015. The largest food makers in the U.S. have come under great pressure from the smaller rivals who have positioned themselves as being a more wholesome choice. 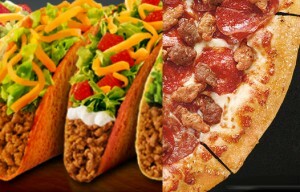 Chipotle for example has been successful in marketing its restaurants as the antidote for what is now typicalfast food. Although there are some who have questioned the truth of Chipotle’s claims. Chipotle in April announced it was removing all genetically modified organisms for its list of ingredients, even as the FDA says that GMOs remain safe. Critics said that eliminating chemicals is just responding to fears that are unfounded over certain ingredients, but the companies are rushing nevertheless to make sure their new recipes are not going to be a disadvantage to them in marketing. Other chains including McDonald’s, Subway and Panera have recently said they too were switching to new ingredients that are easily recognizable as being better for consumption.